Yep, in fact I am doing a little dance right now. The Sri-ra-cha-cha! We had always seen the bottle in stores, at restaurants, at friend’s houses, but somehow, never thought to try Sriracha Sauce. I am not sure how we overlooked it, but the important thing is that we have it now..
And we will always be together. I’d heard mention of “rooster sauce” but never before had we heard anyone openly gush about it, until we professed our new found love on Facebook—since then, friends have been coming out of the woodwork to tell us how much they love it too! Now, we have had hot chili sauces before, many kinds, many times. In fact I would go as far as to say that my father-in-law is a connoisseur of hot sauce and he has probably never missed an opportunity to try a new kind, no matter the hotness—it doesn’t scare him. Well, I have to confess, that I guess I was a little intimidated by the fiery red color, the thick viscous texture, and the size of the bottle–Tabasco is tiny in comparison! The rooster looked a little suspicious to me, as if to warn me: danger, danger ahead, danger of ruining your already spicy food with more spice. But I am a gal who can admit a mistake. And I was wrong. 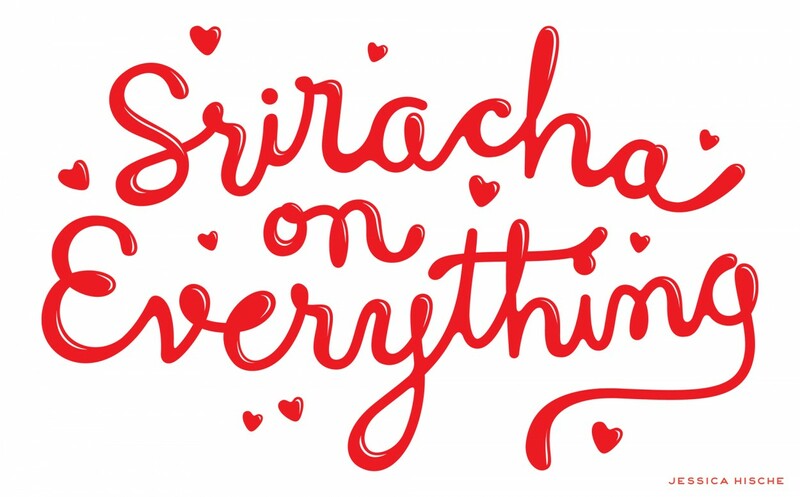 Oh, Sriracha, how I misunderstood you! Now my whole family is addicted to it, with no end of things to try it on! As a dip for fresh spring rolls, on chicken quesadillas, in vegetable soups, and now baked into bread. Instead of having a meal and thinking we can add Sriracha to it, we have been planning our meals around what we can put the sauce on. My husband, is in a rock band called The Mack Daddyz. He is very particular about the T-shirts he will wear at a performance and bought a Sriracha shirt to proudly display his new obsession. 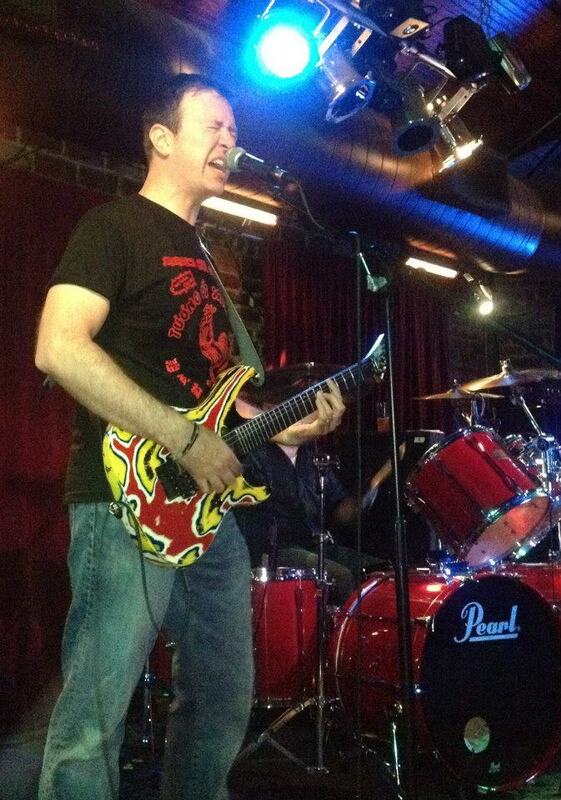 He is rockin’ that T, let me tell you, and he has as many fans compliment the shirt as they do his guitar shredding, 80’s rock style of course! So, as a cook, and a creative-type at that, I think like this: how many things can I do with this that maybe no one has thought of before! 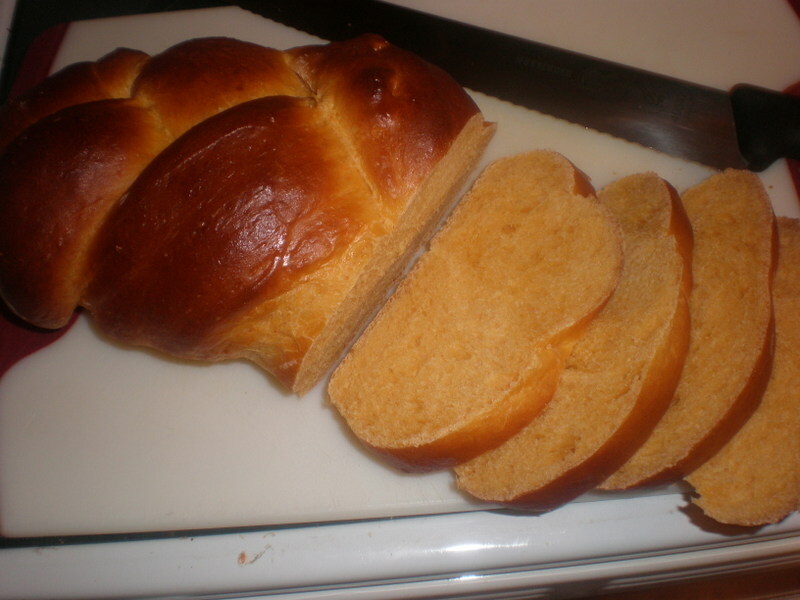 And the carb-a-holic in me, well, my mind goes straight to bread. 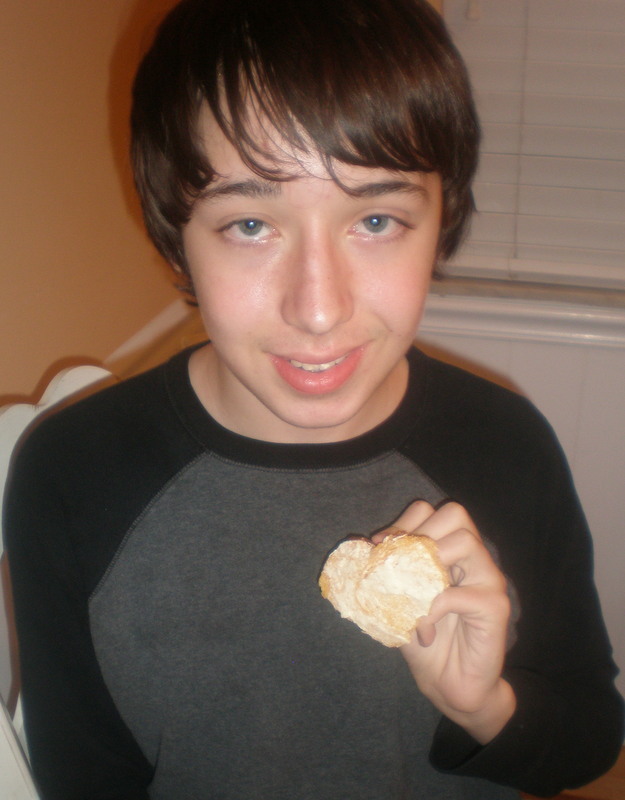 And what a bread it was! Soft, fluffy, warm, orange, like a summer sunset, flavorful, reminiscent of Thai chilies, deep, and complex, and then, the slow pleasant burn begins. 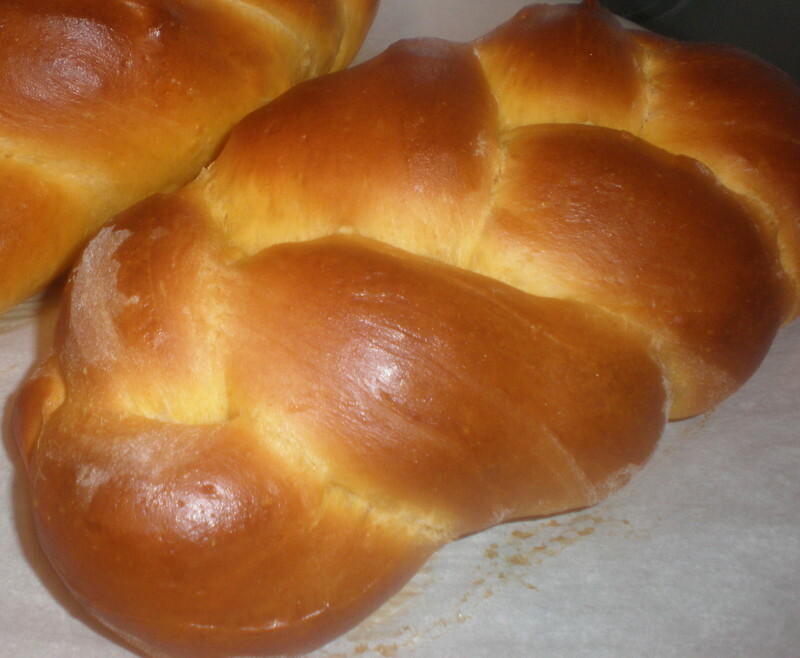 It will leave you wondering: is it bread, or is it a miracle? 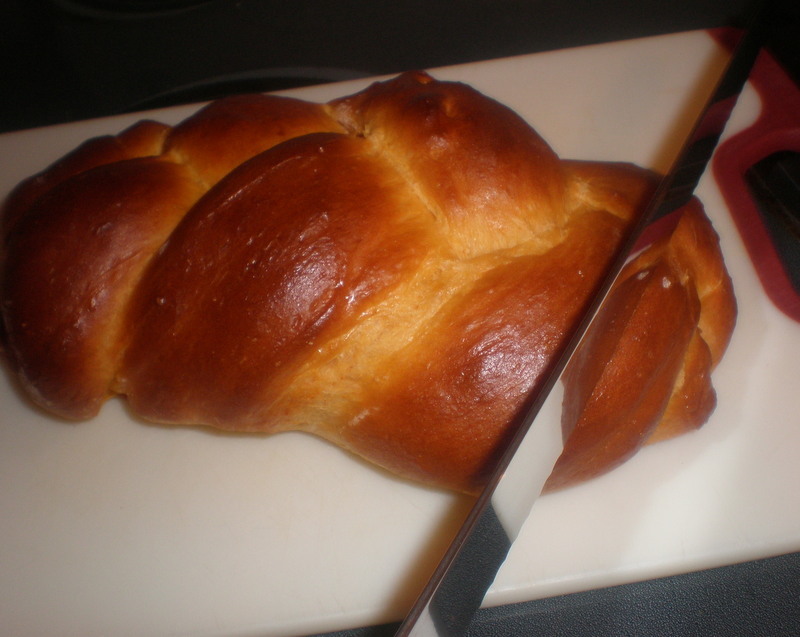 And now I bring you….drumroll please…my recipe for Sriracha Challah!!! 1. 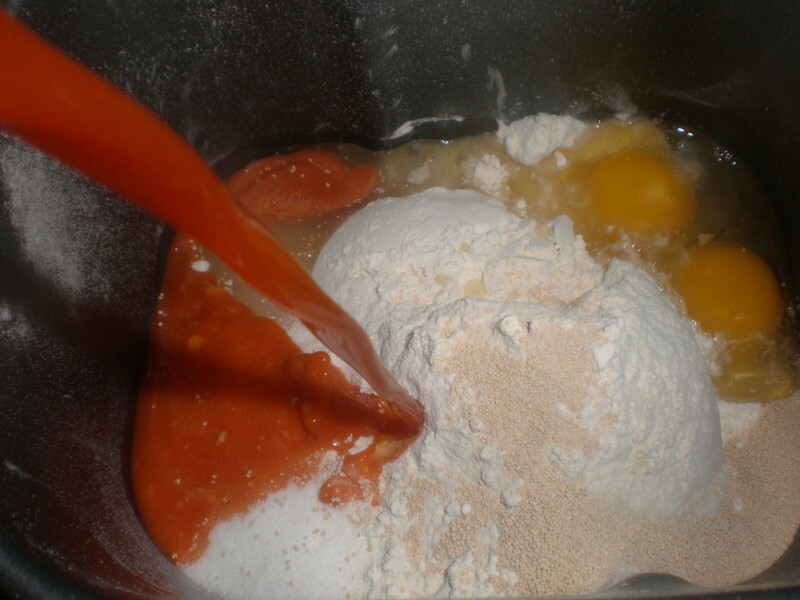 Place all ingredients into your bread machine in the order that your manufacturer specifies. 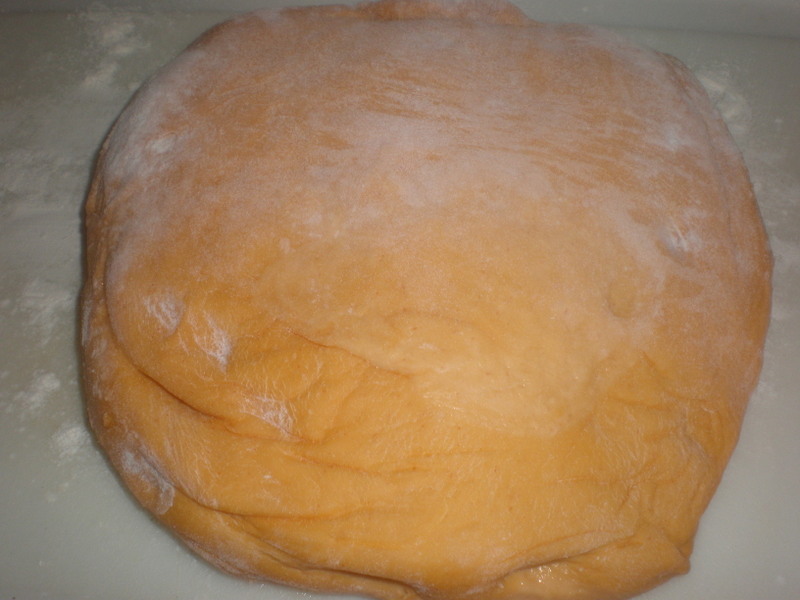 Set to dough cycle and press start. For the first five minutes or so, stand there with a rubber spatula helping to incorporate the ingredients. If it is too dry, add a little more warm water. 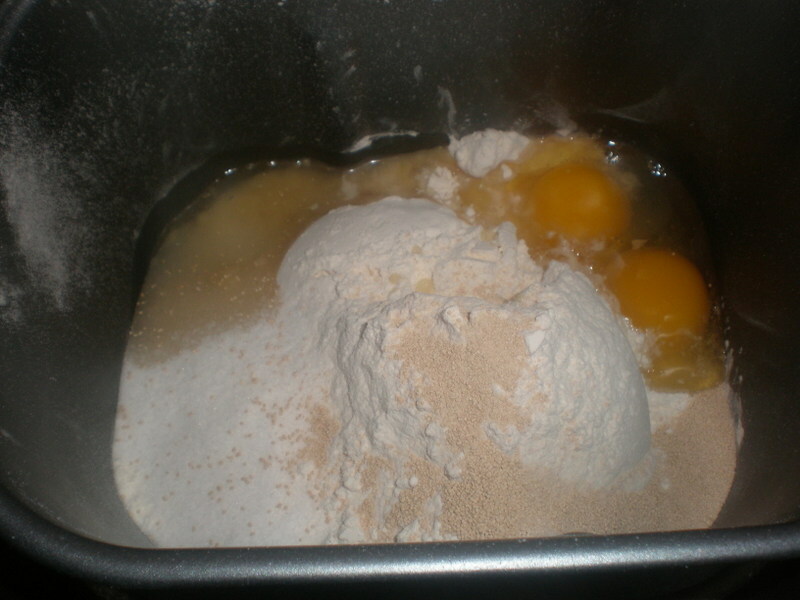 If it is too wet and sticky, add a little more flour. 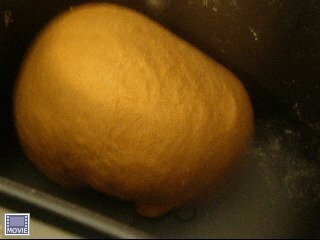 Stop when the dough is nice and smooth, not too sticky and no longer clunking around hitting the sides, then shut the door and walk away. 2. 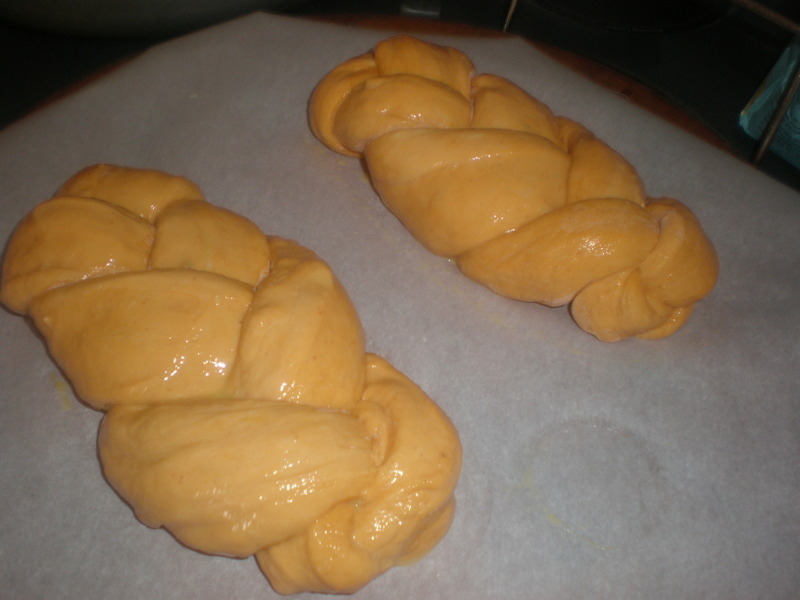 When the dough is finished rising in the bread machine it will be a little smaller than regular challah dough, but no worries, just let it sit in the machine another 15 minutes or so, until it almost fills the pan. 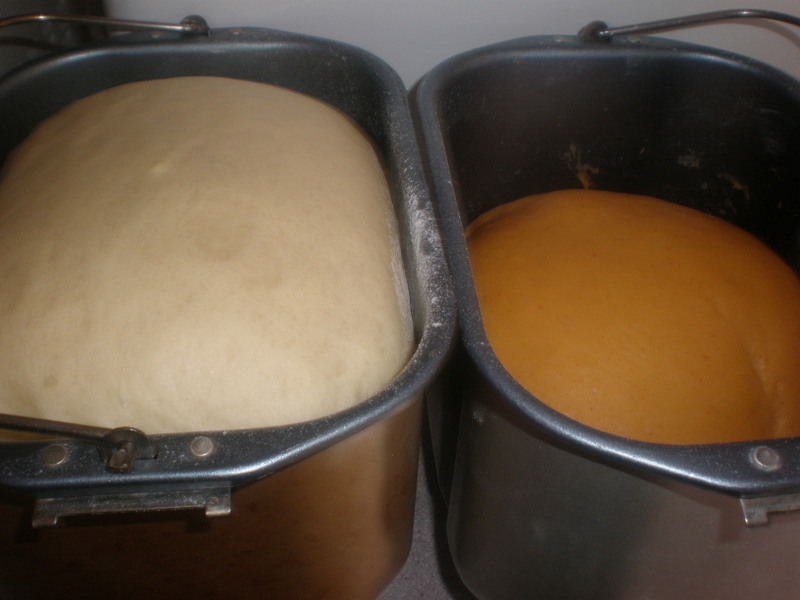 Remove the dough from the bread machine and transfer it to a lightly floured board. 3. 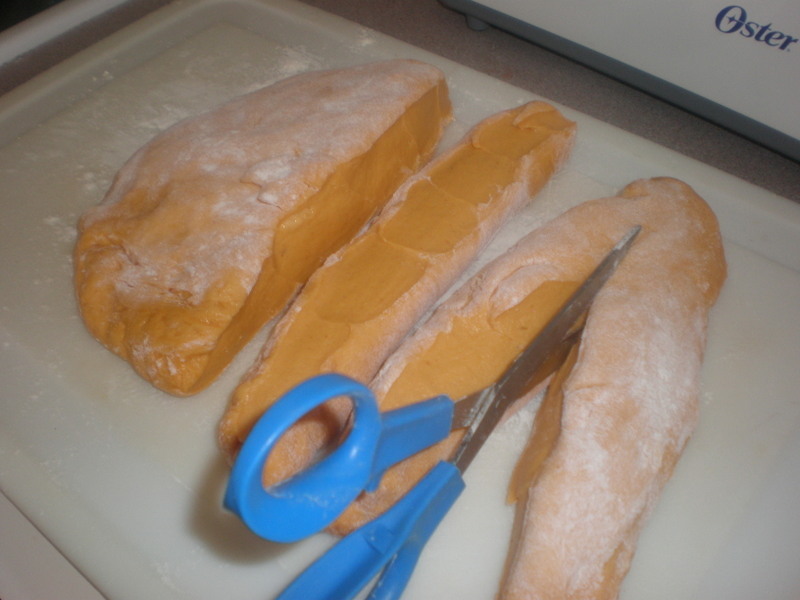 Fold it over a few times, pat it into a rectangle and flour it lightly. Using a scissors, a sharp knife, or a bench knife, cut it into 6 even pieces. Braid 3 strands together, tucking the ends underneath. 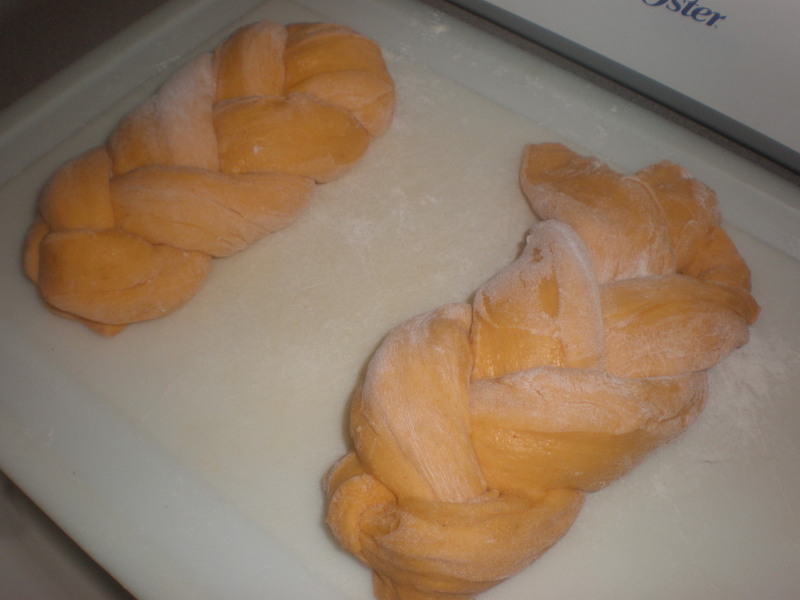 Then repeat with the other 3 strands. 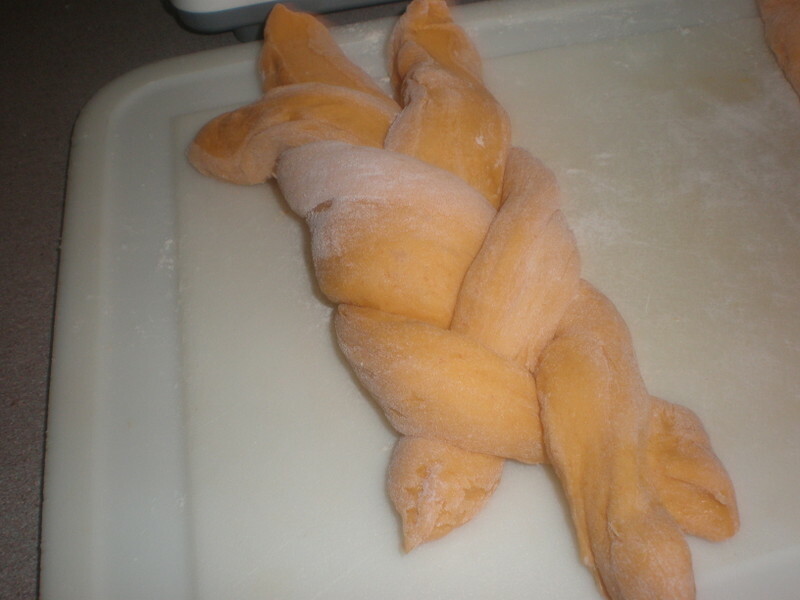 It is okay of the strands aren’t smooth ropes–it will all work out perfectly after the next rise, so braid away. 4. 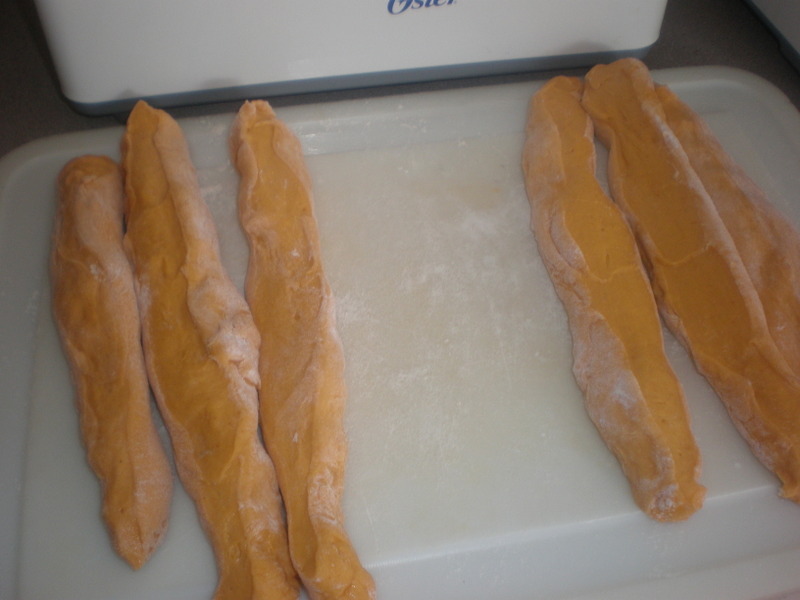 Using a baking stone or baking sheet lined with parchment paper, place the loaves onto the parchment paper and then lightly brush the tops of the challot with the egg wash.
5. This part is a little different but it really works! Preheat oven to 170 degrees F for exactly one minute to warm it, and then shut the oven off immediately. Place the baking tray into the middle of the oven and shut the door. Let it rise for about 40 minutes and DONT OPEN THE OVEN DOOR! 6. After the 4o minutes, turn the oven back on to 350 F and set the timer for 30 minutes. 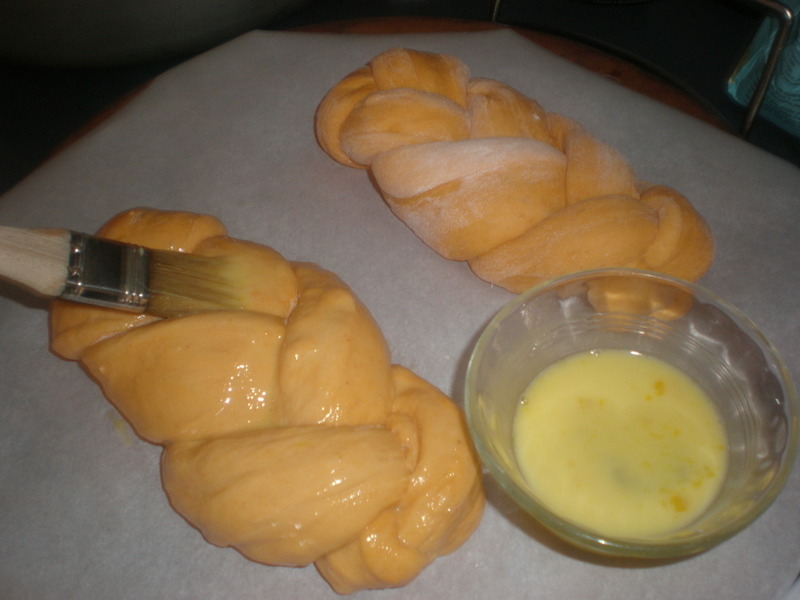 The challah will continue to rise a little more and then bake into the golden-orange beauties you see in the photos. Check them after the 30 minutes (you may open the oven door now) and if you like them a little more golden, continue to cook for 5 more minutes. 7. Remove from the oven and let them cool on a rack. Eat now or later, or freeze for another time. Enjoy! 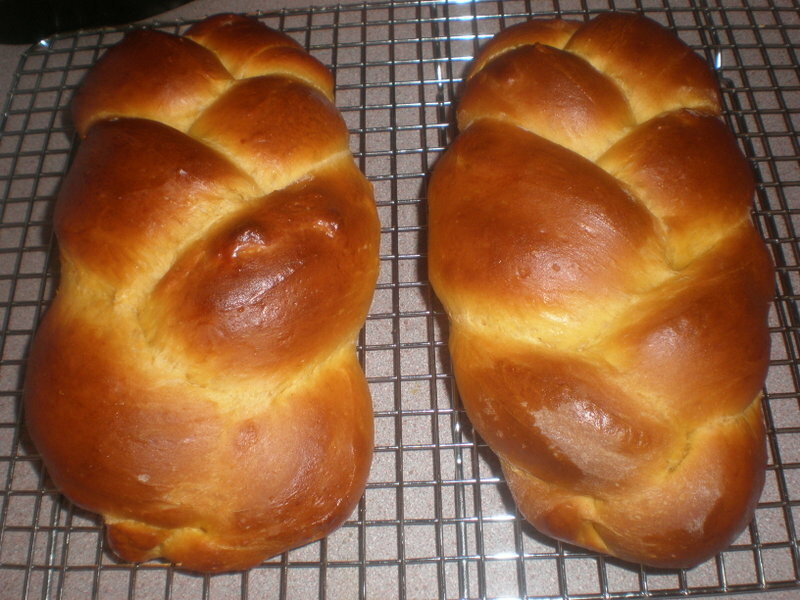 This entry was posted in Holidays, Salads & Sides by pomegranatesandhoney. Bookmark the permalink. So loved this post!!! I’m definitely going to try it!! It would have been so perfect for the Lashon Hora unit…Love it! I will bring you some! I don’t know that we will ever make this receipe but I gotta find to try this. I will bring you a piece!